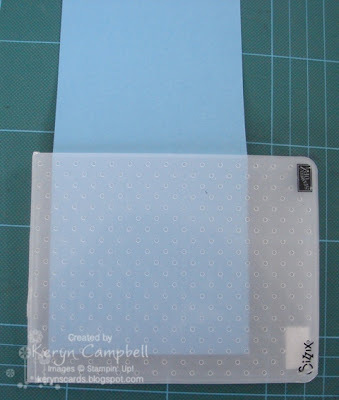 Embossing is a quick and easy way to fill up white space on a card, but what if you want to it straight onto your base card without adding another layer. I'll show you how to position your card and embossing folder in the Big Shot to only emboss the front of your card not all the way through. 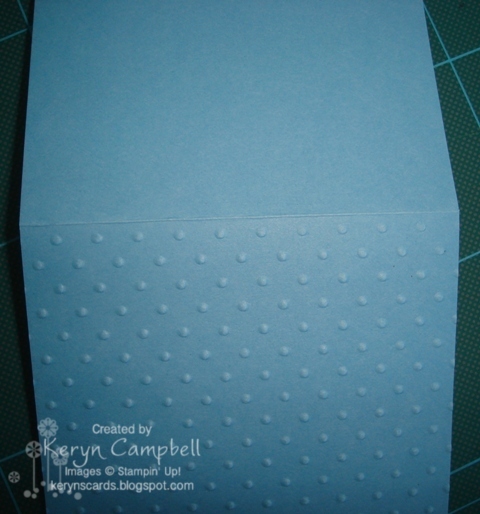 Cut your card blank so that the front will fit sideways inside the embossing folder as you see above. 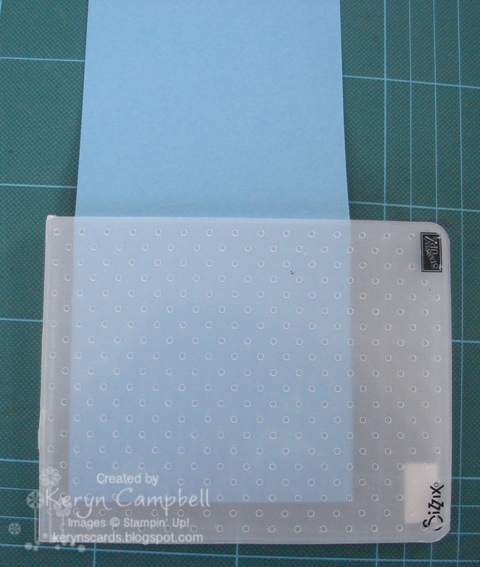 Position the card in the folder with the edge of the folder against the score/fold line for your card blank. 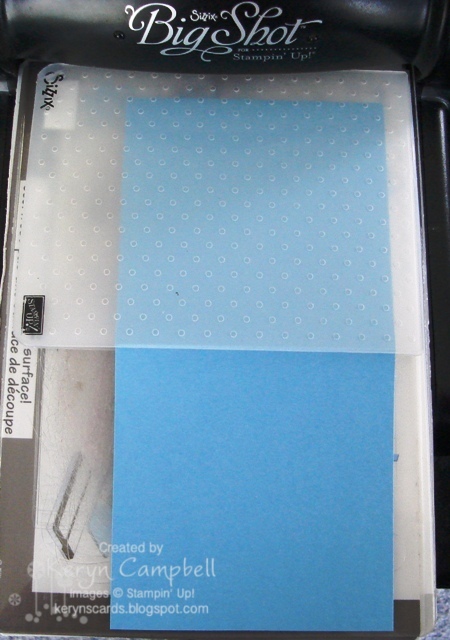 Run the embossing folder through the Big Shot so that the overhanging card doesn't get caught by being on the side. This is what you'll end up with if use the Perfect Polka Dot embossing folder like I did. Another tip for a quick and easy embellishment is using a die like Blossom Party originals and using up scraps or cardstock to cut just the shapes that you need. 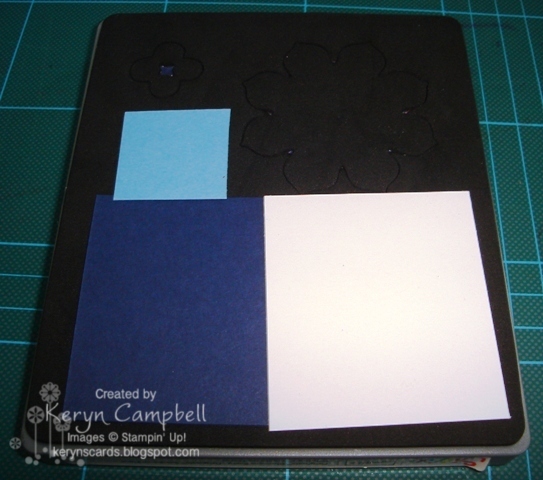 You don't have to cut all the shapes each time to need just one or two. This is how I put my card together. I hope this helped you get more use out of your Big Shot.